Rita L. Strom is the Corporate Paralegal and Notary Public for Horwitz + Armstrong. Ms. Strom graduated from the University of California, Berkeley with a Bachelor of Arts in Legal Studies in 2009. Upon graduation from Berkeley, she was selected for a legal internship with Orange County Superior Court assisting the Civil and Small Claims Divisions with updating and reviewing their case records. In 2012, Ms. Strom graduated from the UCLA Extension Paralegal Training Program with a Certificate in Paralegal Studies. Her Certificate was earned with distinction. In 2015, Ms. Strom graduated from the University of California, Irvine with a Master of Advanced Study in Criminology, Law and Society. Her Master’s Capstone was selected by faculty as a model exemplar for future cohorts. 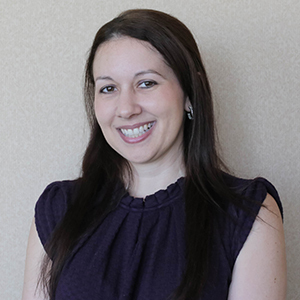 Ms. Strom began her role as Corporate Paralegal and Notary Public for Horwitz + Armstrong in 2013. From 2015-2016, she worked for the Orange County Superior Court as a Legal Processing Specialist in the Civil Division at the court’s main facility, Central Justice Center.